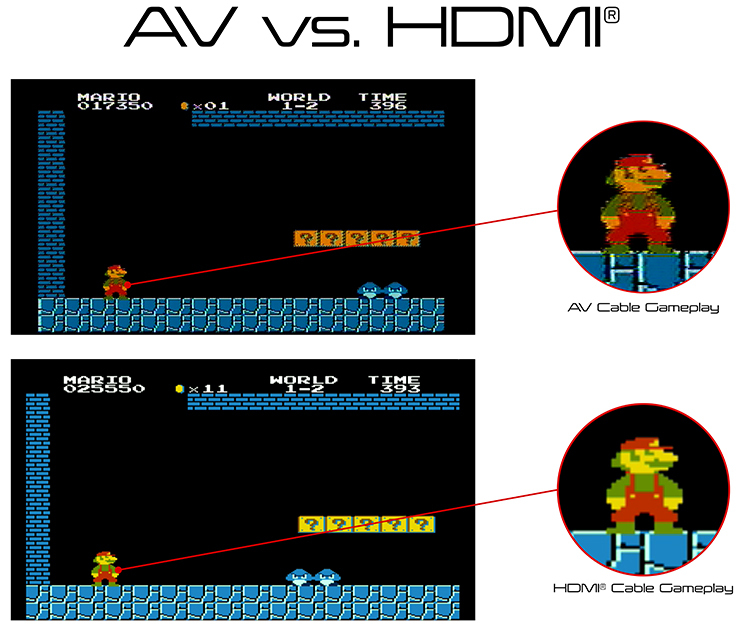 Now with AV and HDMI® compatibility, you can experience your favorite NES® games like never before, in crisp 720p resolution! 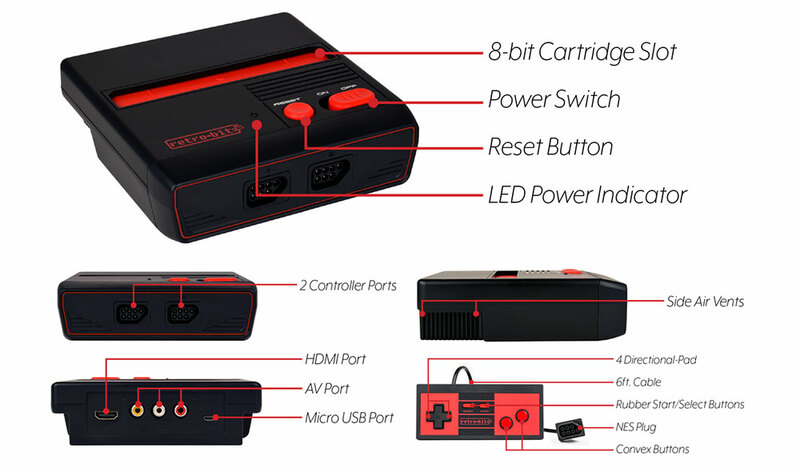 The RES Plus is the premium top loading console for all your favorite 8-bit games. Accompanied with two classic pro controllers compatible with Retro-bit® and NES® consoles for next level precision.